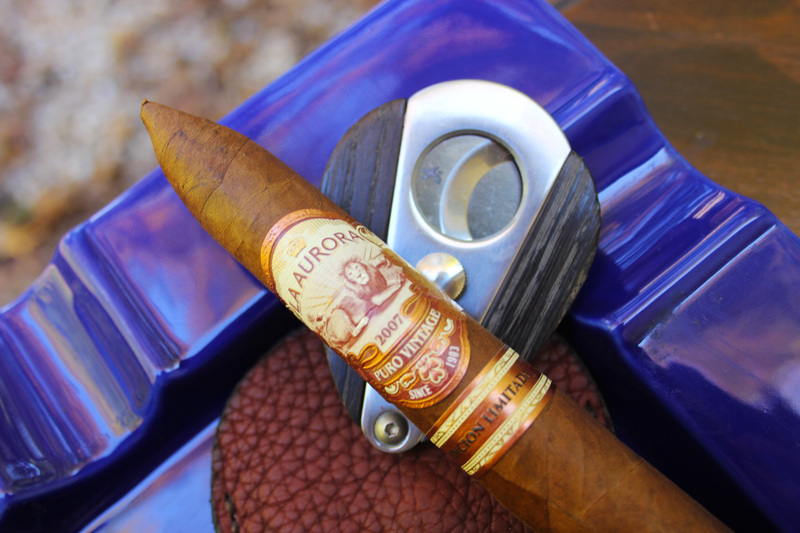 I’ll start this off by saying I’ve recently become a big fan of La Aurora Cigars; the ADN Dominicano is in my top 5 favorite cigars of the year. It also helps that I got to tour their facilities in the Dominican Republic earlier this year and witnessed firsthand how much care and heart the employees put into each cigar. The tobacco in the Puro Vintage 2007 comes from a 2007 harvest and was scrupulously selected in order to ensure maximum quality. 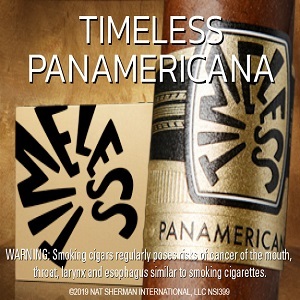 It’s presented in Salomon format and is limited to only 6,000 boxes worldwide with 10 cigars in each box. This cigar is so thick and wonderfully constructed. I don’t usually smoke Salomons, but I do like this shape, and I’m looking forward to the 2 hour-plus smoke time. The cold draw is easy, and I’m picking up some citrus, pepper, and bits of cocoa. These flavors are wonderfully complex, and with that, I eagerly dive. It lights with minimal effort, and I’m treated to aromas of fresh-cut oak with notes of cinnamon, hazelnut, citrus, and cocoa. These flavors mostly stick around for the first third of the cigar. The burn is even and requires no touch-up. I feel privileged as I sit and smoke this cigar, one that features 11-year-old tobacco. It truly feels like an honor, as cheesy as that sounds. The cigar has a nice, slow burn and continues to feature that beautiful woody aroma, much like a walk in the woods on a crisp fall day. 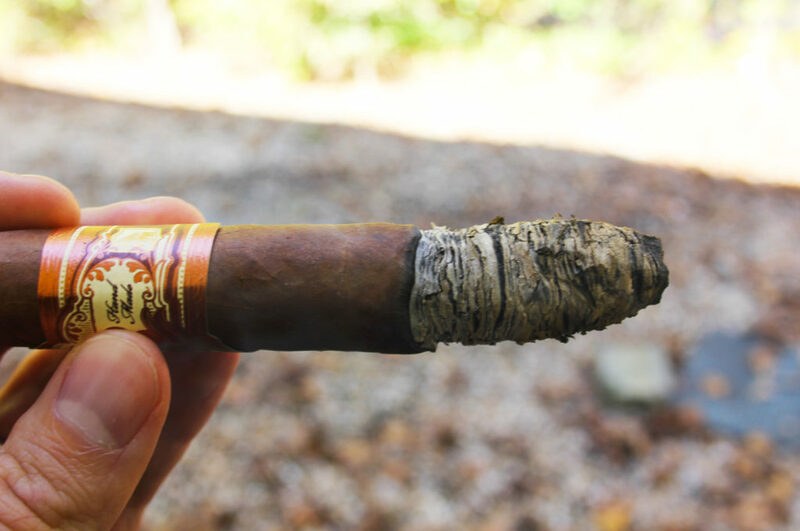 During the second third, reaching into the final third, the cigar does require a few touch-ups to keep the burn line from canoeing. The ash lasts for an impressive 2 inches even with the touch-ups. As I move into the final third, I’m noticing some more spice, like cinnamon and pepper, come to the forefront. The spices sit quietly, yet noticeably, on my tongue and in the back of my throat. The oak is still prevalent, as are the citrus, nuts, and cocoa. I enjoy it when cigars transition flavors throughout the cigar, but other times I really enjoy a cigar with few surprises, like this one. 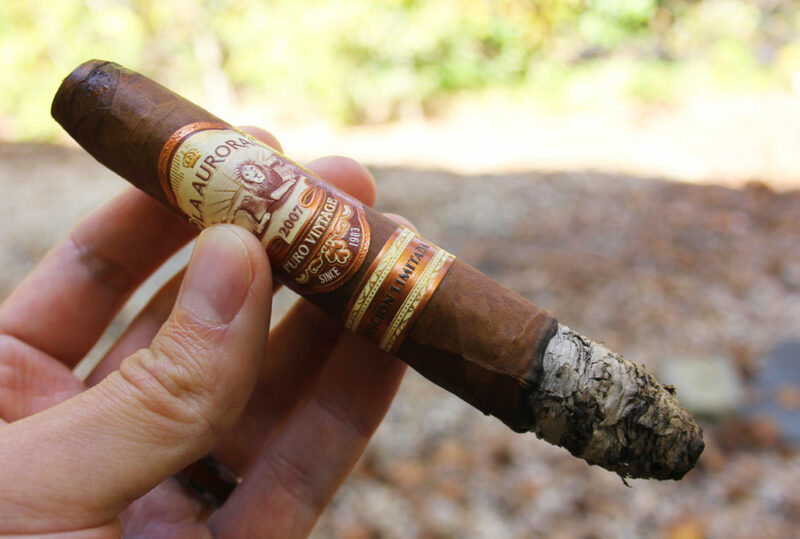 Toward the very end, the cigar opens up even more and features some rich espresso notes, which were a nice little parting gift. I was sad to finally extinguish it. 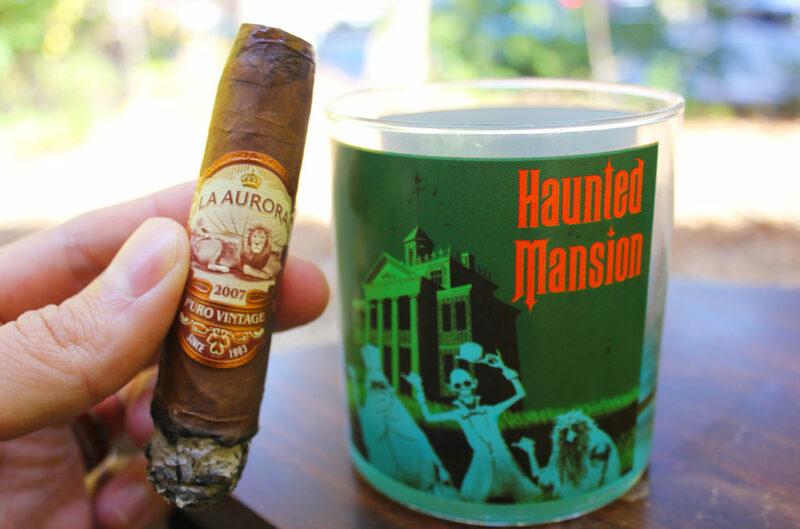 I began this cigar by pairing it with coffee mixed with peppermint mocha creamer. As I’ve stated in previous reviews, coffee is one of my favorite beverages to pair with a cigar because I find that the acidic, bitter, and creamy taste of the coffee is an excellent companion to many cigars. 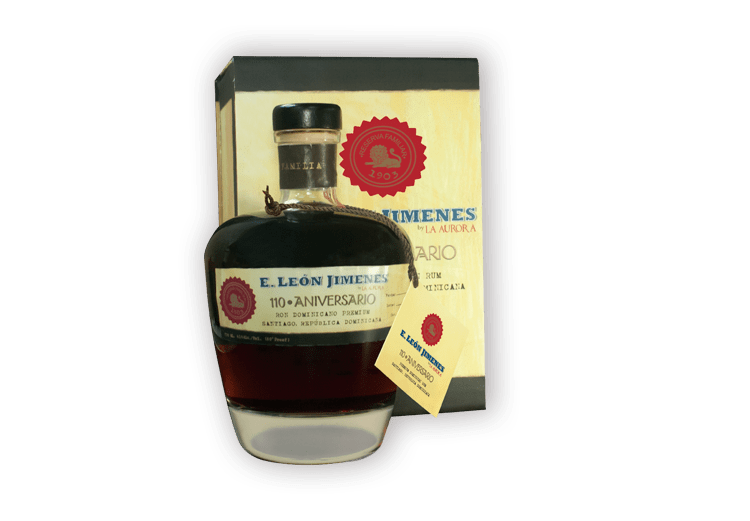 However, it wouldn’t be proper to not pair the La Aurora Puro Vintage 2007 with La Aurora’s E. Leon Jimenes 110 Aniversario rum. This also proved to be an excellent choice. Just like the limited-edition cigar, this rum is limited to only 3,000 numbered bottles a year. 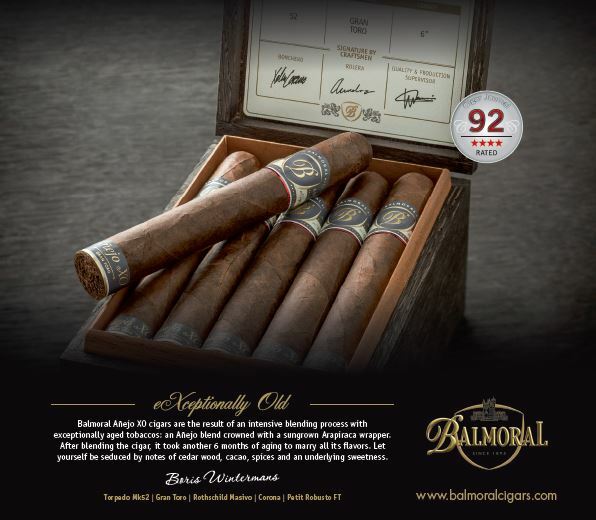 It’s complex and smooth, aged in sherry casks, so the woody aromas and notes of this rum perfectly match those of the cigar. I can’t recommend enough getting your hands on a bottle or two. 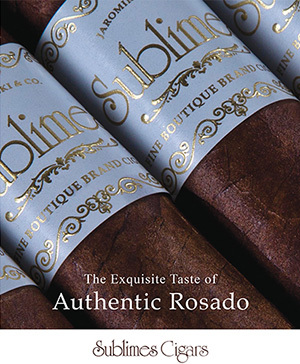 This is a beautifully constructed, thick, and special cigar. My favorite part was the woody aromas—strong but not overpowering. 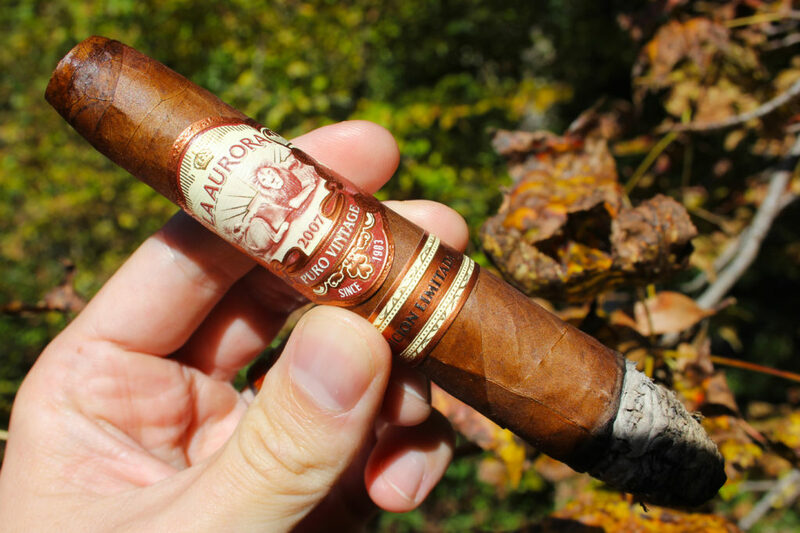 This cigar gives my previous favorite, the ADN Dominicano, a run for its money. 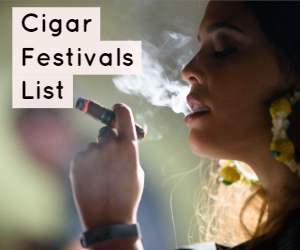 Overall, it’s a fun, relaxing, and enjoyable experience, and isn’t that what cigar smoking is all about? For more info, visit laaurora.com.do.